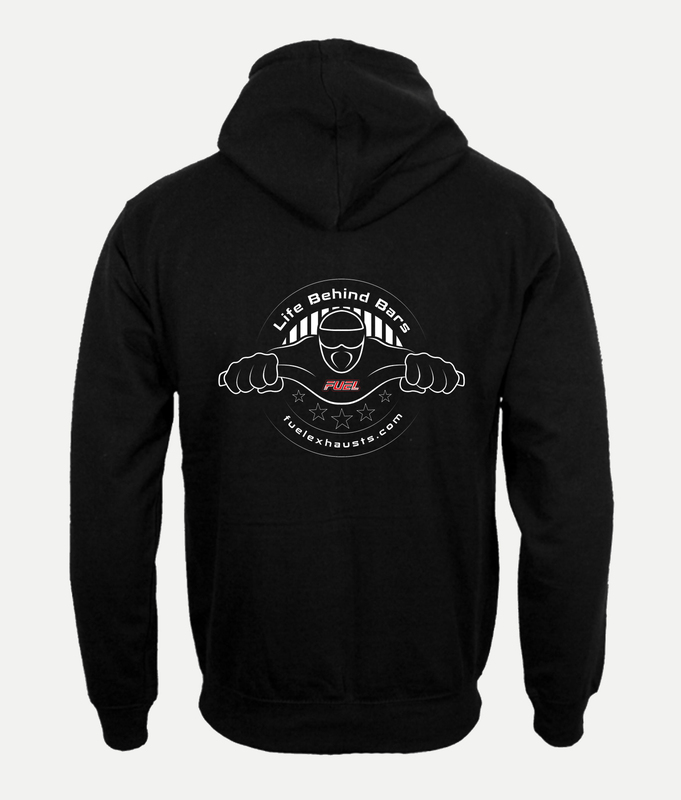 Our hoodies are printed locally and include our Fuel and Life Behind Bars logo. Each hoody is black with a red hood and red cords. There is a red transfer print on the front left chest and a large white transfer print (with red Fuel logo in the centre) on the reverse. 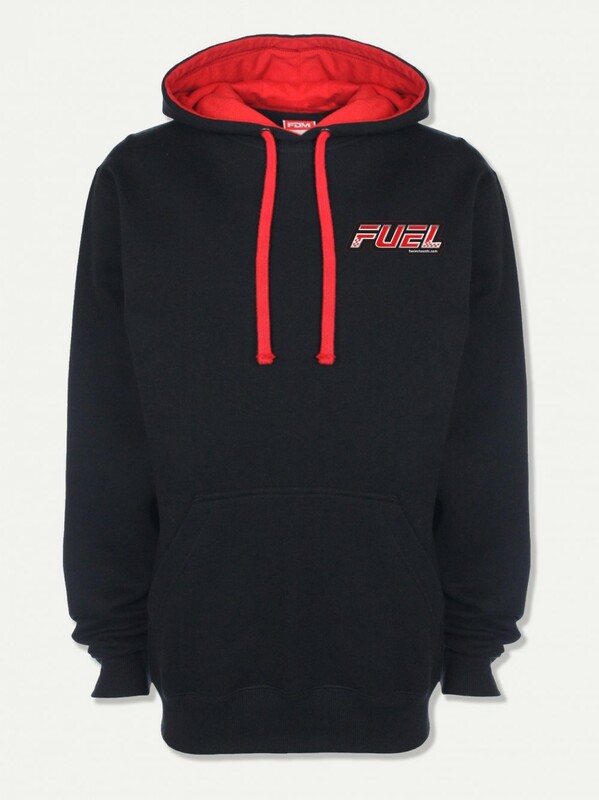 Fuel front logo size is approximately 80mm wide and the reverse logo is 300mm.